To apply, interested applicants should submit an online application indicating their coding knowledge and goals for after the program. Applicants will then be invited for a virtual interview, followed by a technical interview. Applicants get access to a free prep course to prepare for their application. No coding experience is necessary. All courses are taught at Concordia University's downtown Montreal campus. Graduates of both programs will receive a Concordia Diploma and 6-months unlimited career support. Students will have the opportunity to take advantage of small class sizes, a student-to-teacher ratio of 1 to 6, and job search support after graduation. A rigorous, part-time, nights & weekends program built to get you a job as a Web Developer in 24 weeks. If you are accepted to the program, you will receive a Letter of Acceptance and will be required to pay a non-refundable deposit of 20% ($2,199) of the program fees due at the time of registration in order to hold a place in the program. We encourage everyone with an interest in programming wanting to join our course to apply, regardless of your skill level. Our flagship 12-week program, you will master the fundamentals of programming, learn to build highly complex web applications, and prepare yourself for the future of work. 8 weeks later, 3 colleagues and myself managed to build a mobile app using React Native. We were all surprised by the incredible evolution we went through. Then the job searching process began and believe it or not, after only 2 weeks and a half, I had two job offers on the table. I accepted an amazing offer, better than I could’ve imagined when I started all this, better than the conditions I had working as a Senior Digital Marketing Specialist! I will be forever grateful to Concordia Bootcamps for giving me a better life. As a new mom, I didn’t think I could still change my career path and I was happy to be proven wrong. I discovered a field I’m passionate about, I met amazing people and I evolved as a person. I decided to join DecodeMTL because I wanted to change careers. I come from the food industry and was worried at first that this dramatic change would be too difficult. However, the minute I started the bootcamp, all my fears immediately dissipated. Right away I felt like I was in good hands. Jacques is an amazing instructor who cares about his students and their learning progress. We were also very lucky to have a fantastic TA. But what is especially great about DecodeMTL is that they really care about your success after the bootcamp is over. 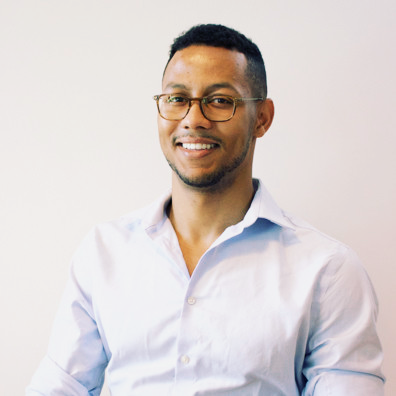 Kevin goes above and beyond to help you with your job hunt and you really feel like DecodeMTL is not just a money maker but really a community of people who help and support each other. If you’re looking to become a web developer, I highly recommend DecodeMTL. I landed a great job with amazing working conditions after the bootcamp. It’s hard work and you need to be 100% committed, but it’s worth it. during the boot camp I was amazed by the quality and quantity of the information you learn in such a small time, I learnt a lot of new things that give me the skills and the confidence to apply for any job. As soon as I finished the boot camp and did my final project presentation, I got three interviews with the companies' recruiters who attended the last hiring event, was able to get three offers and chose the best one. In summary, Decodemtl was a great combination of education, networking, good people and a very good recruiting agency. So i started the bootcamp in October 2018 and i can honestly say it was one of the best desicions i have ever made! When i started this bootcamp, I had no experience in computer science whatsover, apart from doing a few small online courses on HTML and CSS.It is really intense but i feel like it covers everything in order to prepare you for a job. After the 8 weeks of intense coding, i got a job(with good benefits and good pay) in less than two weeks! So i can definetly say that it was worth it! Jacques explains everything really well, and him and Jordan were extremely helpful anytime i have a question, i was NEVER shy to ask a question, no matter how stupid it was sometimes (lol). Also, Kevin really helps with the Job Assistance, he really cares and always checks up on you to make sure you are on the right track to get interviews. Overall i would definitely recommend this bootcamp!! Overall, the instruction was great and the teaching assistants were for the most part excellent. I feel that more topics could have been covered in the course, but then again topics you could cover for web development are virtually endless, and the material had to fit into 8 weeks. Great experience, and well worth my while. 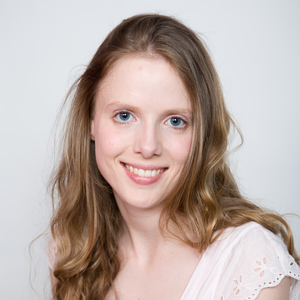 When I first got the idea of doing a coding boot camp, I felt like it was a huge risk. And truthfully, it can be! I quit my perfectly fine job and enrolled in Decode because I wanted to make a fast change. It's really crazy what you can do in just 8 weeks. If you're bored by your current job, industry, whatever - and want to make a super quick change into a computer science career, this is the program for you. If your end goal is to get a programming job ASAP, Decode is the right stack - they teach you the latest technologies in demand, unlike other boot camps in Montreal. 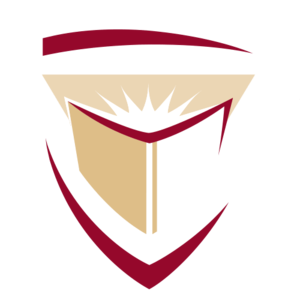 The boot camp is an intensive, condensed program with all the useful parts of a university computer science degree, and then some. 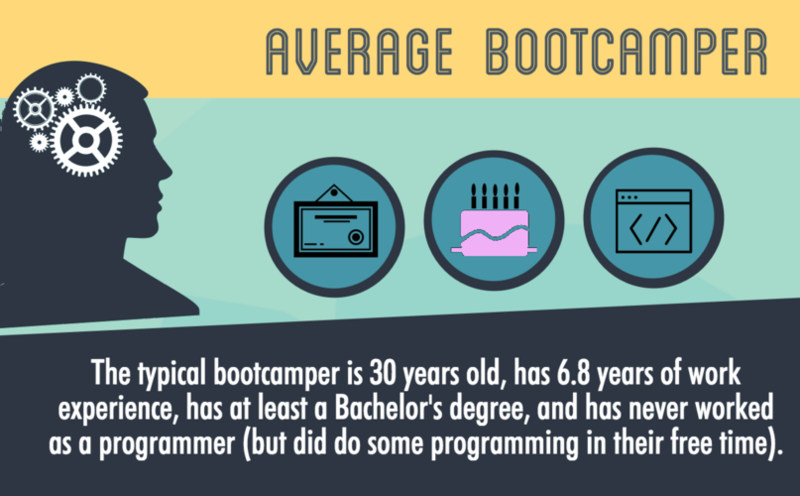 A CS bachelor's degree to Decode's boot camp is like university to technical college. Now, about the course itself. The first 2 weeks are the toughest, as this is when your body and mind struggle with the fact that you're probably going to be at school for 10 hours every day. It really does require full spiritual and physical commitment, but this also means that almost every person in your cohort is 100% motivated and ready to learn, so it's a really awesome environment to be in. During my cohort, we could've used a little more academic support - a couple more TAs would've been nice. Also, I do wish that a few more technologies were covered, but we have given feedback on this subject for future cohorts. There is after-grad support in terms of job search help. And also academic assistance, if you ask for it. But ultimately, the power is in your hands so be resourceful! It's been just under 2 weeks and I have a job offer. I'm super happy that I experienced Decode and would recommend it to anyone looking to get into software development today! Honnestly before doing the bootcamp I wasn't sure what I should expect from it, either some more technical knowledge on my resume which would have been valuable (for a career Web- related) or enough skills / confidence / pleasure to start a new career. That was the later. 120%. The staff. Jacques (the main teacher) and the TA (teaching assistants) were really a great help and support navigating through all the new concept you need to learn. They are all very knowledgeable and passionate about teaching. They made several adhoc workshop based on our questions / interests (Redux / Jest / Enzyme etc). Kevin and Natasha were really helpful in the post bootcamp job search. They do their best to connect you to the right employer. Of course it's demanding and you have to be fully dedicated to it. Not only through the courses, but also in doing the workshop at home/over the week end. As I see it, the bootcamp provides you all the tool and support to achieve what you want (aka for me was pivoting in my career), how much you get out of it depends mostly on you. After that, I found a job in 1 month, and had even the privilege to choose among several offers. My biggest fear before the bootcamp was about my technical level, not being sure I would be ready enough and maybe thinking that Decode would try to fill in the class despite the basic knowledge needed. No body wants to spend X thousand $ for something not appropriate. Trust Decode and their interview preparation process, they're looking more into your logic than in a formal lvl of technical knowledge. At the end what is important to them is what makes a difference for you - aka finding a new job because that's their selling point. No jobs - No bootcamp. If they believe you have what it takes, be confident. Decode is the perfect fit for anyone looking to get a job as a junior web developer. Everything about the course is relevant and practical. When it came to job applications, Kevin was outstanding in coaching me through the process. 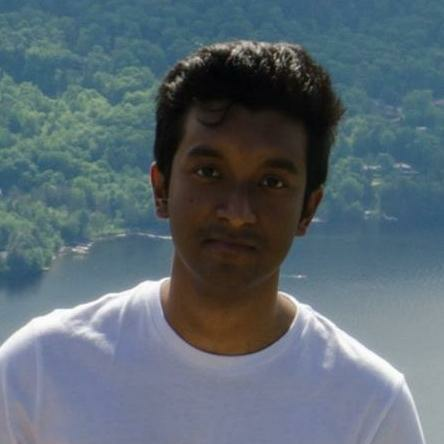 He is extremely well connected in Montreal and which is a huge advantage for decode students. I was fortunate enough to land a job a few weeks after graduating. To make the most of your experience, I would strongly suggest you follow many of the free/paid tutorials online and build some basic applications before attending. I had a solid experience with Decode despite having very little programming experience. The stacks that were taught are extremely relevant in my opinion. I landed a job as a Wordpress developer after graduating, and with my experience in sales and management, I feel comfortable leading a team of developers. Good experience. A high value was taken from only 8 weeks of the Bootcamp. Good assistance, and job application support. Great location and overall coding vibes. I was skeptical about bootcamps in general. Comp sci students take a minimum of three years to be ready to apply for software development jobs. However, the 8 week program really gave me enough practical knowledge to be able to do well in the position I'm in now (funded, high-growth startup). To my own surprise, I passed the technical interview "with flying colours". Most comp sci graduates finish school with really good theoretical knowledge of how to build algorithms and the like. That's really interesting knowledge, but most jobs don't require too much of this type of skill. They require knowledge of modern libraries and methodologies, all of which I learned through Decode. So, if you already have a university degree (like I did), don't go back to school. Do a bootcamp. If you're in Montreal, do Decode. They've been around the longest, and the Kevin/Ziad combo probably know more people recruiting software developers than anyone else in the bootcamp business in Montreal. This part is really important for organizing a proper demo day (I found my current gig there). I also want to give a shout-out to the post bootcamp job assistance. The support doesn't end after 8 weeks. They do mock interviews (both technical and culture fit), they help review your CV, and put you in touch with a bunch of different recruitors. It's surprising how much this can help out in your career change. TL;DR - Before Decode, I had no experience with coding. 10 weeks later, I had a job. If you're considering DecodeMTL, I would highly recommend it. There is seemingly endless ways of learning web-development, but for me Decode made the most sense. Decode is an intense two months, but if you throw yourself into it, you will be in a good position to succeed afterwards. Everyday, you have tutorials for several hours in the morning, and then the rest is spent on workshops that build off that material. The projects that you end up doing are fun and portfolio worthy. We built everything from a weather app, to a reddit clone. One of the things I most appreciated about it was the fact that we as students, had 1-on-1 teacher access for about 11 hours everyday, and they never hesitated to answer your questions via slack outside of school hours. They won't straight up tell you how to solve your problems, but they will help steer you towards figuring it out on your own and will always make sure you understand why you got the result you did. The final Demo-day was a unique experience. This is a very cool part of the course. You end up presenting your work to a room full of potential employers, and it was through this I met the company I now work for. They don't just kick you out the door at the end of the 8 weeks. The next week - if you want it - is for helping you with the job search. They do mock interviews both regular and technical, and help you currate your portfolio, resume, and linked in. 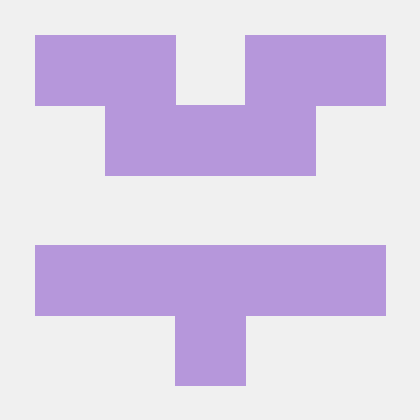 If you want a program that asks a lot of you, but gives you a lot in return, Decode is it. From the top down, they genuinely care about you succeeding, and if you put in the effort, you will. My experience at DecodeMTL was extremely rewarding. I would recommend it to anyone who is looking to launch their career in web development, regardless of your background. The class size is small and very dynamic. You will learn a lot and work a lot - expect to spend your days and evenings there. If you are looking for an easy pass into learning how to code, this is definitely not it. Decode will teach you everything you need to know, and have a really good support system with the TA's, but they will not hold your hand. They will make sure you are really understanding what you are doing and why you are doing it. The more work and focus you put in, the more reward you will get out of it. The quality of instruction is really good. Ziad and the TA's do a really great job of simplifying complicated topics. Ziad loves what he does and really wants his students to understand and succeed. If you're disciplined and driven, you will thrive at Decode. Clear your schedule for 8 weeks and make the most of it. If you want to become a modern software developer, then look no further because I believe that this is the most direct path out there. Yes, it costs a lot of time, money, and effort but this is all peanuts in the grand scheme of things. Make sure you are ready before jumping into this course. You cannot afford distractions. Drop your phone down a sewer if you have to. Every day you must awaken with the fullest intention to be a student of software development. I start my new Software Developer job next Monday. Thank you, Jacques and Kevin, for creating this pathway. Actually doing what I love again! I enrolled in DecodeMTL while having a 12 years old but never used degree in computer sciences about which I felt very insecure. In the past, I had often been looking into going back to programming, but all I could find were lengthy university programs. In only 2 months, I gained most of the up to date knowledge needed to land a job in this effervescent industry. Everything, from the instructor, curriculum and teaching assistants, to the post-bootcamp support in finding a job and practicing for interviews was flawless! I always felt strongly supported through the whole process. Learning with 14 other super motivated students was also a wonderful experience. At the end of the bootcamp, even those who had no prior experience in IT were able to deliver awesome projects. I'd recommend DecodeMTL to anyone who is interested in programming and is tempted by a career in the field. The program was very intense, and provided me with a great foundation for the world of web development. The teacher and TA's were super helpful - I never had to wait to have my questions answered. It felt very relevant to the real world. I was very concerned before going into this that it would be too much to absorb in 2 months time, that I wouldn't be able to keep up or that it would be too stressful. Do not be intimidated by this. You will be surrounded by a cohort who is going through the exact same thing as you and the comraderie you will develop will get you through it. DeCode provides supportive T.A's every step of the way to get you over humps and over all the fun of problem solving and the reward of success proves to be a fantastic driver expecially in a group environement. You will stay late and you will work hard, don't get me wrong. Other reviewers saying you only get out what you put in are 100% on the money. But putting in the work and the long days is much easier than you think it will be. As for absorbing all of the material in 2 months it's certainly a lot but the course pacing is very good. Be sure to stay on it after you're done and the knowledge will become concrete. Finally Decode sets you up with an amazing networking opportunity at the end. Within a week of the course I had a number of interviews and several job offers and ended up with excatly the job I wanted. In short. If you're on the fence, don't be. Go for it. If you've found your way here while prospecting your application to DecodeMTL - you've likely got that in common with every graduating student from the program. Know this; you'll have an awesome supporting cast. The class I was apart of was the very first cohort with their new instructor, Jacques, who has a decorated academic and professional background in computer science. He is extremely patient throughout his lectures and isn't afraid to stop at any point to make sure no student is stuck before moving on. Jacques is most interested in drilling home the fundamentals of how you write code and the best way to approach a new project. You'll have tons of assignments to get your hands dirty and my suggestion is you practice each one of them more than once. Try writing them up in different languages, implementing different features. Unfortunately, just showing up to class won't be enough to get your money's worth with this type of endeavor. You'll need to stay late, work from home and even come in on weekends to take full of advantage of the material given to you. Luckily the TA’s are also, in my opinion, professionals within their own niche. Luke, Jordan and Nadim are all super guys who will go the extra step in helping you anyway they can. None of my questions were left unanswered and they each complemented the lectures in their own way. I found a lot of value was given from the TA's and that's something you can't get by learning online. The space at WeWork is great, not only students surround you but small businesses as well - there is no shortage of motivation to stay late and catch up on some work. Kevin's interview process to get into the program is improving each cohort, funneling down the students most motivated to succeed. You'll be surrounded by people who want to be there and that will push you to do better. The post-camp job assistance is what I think sets this course apart. Kevin messaged me almost every day after graduating, checking in on my job hunt, giving advise on ways to go about changing my approach and offering his insight all the way up until I accepted an offer. His job isn't done once you graduate - that alone speaks volumes on his commitment to you. If you're on the fence about the material, don't worry about it. You'll learn how to learn to code. Do some research on Montreal’s job market before applying and really convince yourself this is right for you. I landed a job using a language we weren't taught - but because my fundamental foundation was solid, it's much easier to pick up new languages once you know how to think like a programmer. With that being said, I would 100% recommend taking this course. It isn’t for everyone but if you use your resources wisely, there shouldn’t be any surprises. Don’t be afraid to message any past students on LinkedIn, or even schedule a meeting with Kevin prior to discussing your concerns, anyone would be happy to help. Good luck! tl;dr: Decode is great. Do it. Want to learn to code useful things? Decode is for you. Want to understand how web technologies work? Decode guides you quite far down that path. Want to specialize an a particular field or technology, well, you'll need to go beyond what Decode offers, and don't expect to come away a senior programmer. But you will come away with all of the fundamentals you'll need, a solid understanding of web technologies in general (and a deeper understanding of a several mainstream tools), and the confidence and know-how to jump in and start building anything any app you have in mind. Decode offers excellent instruction and lots of access to resources and TA's. The classroom format offers plenty of information and theory, but also opportunities to test and challenge what you think you know, and lots of discussion so you can learn with and through your classmates. It's intense and will keep you busy, but if you put in the work, you'll definitely be able to stay on top of the fast-paced structure. The curriculm is in-depth and relevant, focusing on the trends in tech as well as some staple-tools of the industry. If you're on the fence about this program, my advice to you is to stop thinking about it and just do it. You won't be disappointed. - Very caring staff: The owner, the instructor (Jacques), TAs (Luke, Nadim, Jordan) are all very attentive and helpful. They always make time for you when you're asking a question, or trying to solve a problem. They are never impatient and will sit down with you as long as they can, to make you understand the concept/problem/solution. -good communication. 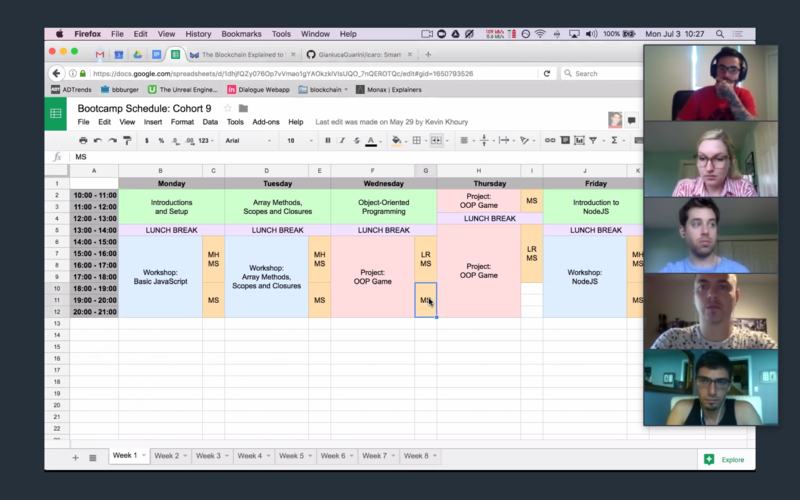 decodemtl uses slack to have staff and students all communicate with each other. So even if the TA or Instructor is not present physically, you can always still reach out to them. -course material. Very in line with what's hot in the market. This past cohort (10), we were learning mostly React.js for front-end, but also learned Node.js and express for backend, with firebase database. We also touched on jQuery a little bit, HTML and CSS. What I would add, is perhaps learning mongoDB, since it seems to be very popular. -level of difficulty. This depends on an individual basis. For people with prior experience in coding (even just a little), it was not at all difficult. For people with less experience, it might take some time to get used to, however, after spending the first week getting the basics down, it gets easier. -process of learning. With 2 hour lectures, a lunch break and 4-7 hours of coursework, there's a lot of time commitment. However, spending this time to solve and work through projects with TAs on hand, has helped me a whole lot, and other students alike. When you're stuck for 30 minutes on a problem, you can just go see a TA to solve it, instead of going through hours of errors and bugs. It's very efficient in helping you learn. projects. 3 weeks of projects. After learning the tools for the first 5 weeks, you are ready to make your own application. Time goes by really fast, and you have a lot of fun building your own application. This is great for not only your learning experience, but also lets you figure out what you like doing -front end? back end? or maybe even both. At the end, your project is showcased to an audience of employers, who want to see what you are capable of, and possibly hire you. demo day is a great way to meet future employers and network. With the projects that you demonstrate, the employers can see your potential. I happened to get an on-site interview right there and then, which is pretty cool. Happened to get an offer the next week. For me, it moved pretty fast. decodemtl's job prep process. Kevin is very keen on getting his students a job, and will spend time with you to fix your resume, look over your linkedin profile and cover letter. He has used his network to get us connections, which is fantastic. Also, if there are classmates who have been in the tech field, they can also help you network with the companies they know too. This co-hort, Kevin hired professional tech interviewers to do mock interviews, which is great, as it helps people who get nervous, some practice. The fact that they have a job guarantee within a 6 month period tells us a lot about how they are confident about the students job prospects. DecodeMTL is situated at wework place-ville marie. Great location, as you have access to Montreal's infamous underground mall with shopping and food all around. Not only that, but wework is a great place to study, as it offers free beer and coffee, as well as fresh fruit water everyday. The environment helps students feel comfortable, with the optimal setting for success. The people whom you will be working alongside are probably going to be likeminded, as they are spending the time, money and effort to do something out of the norm. They will be curious, and hard-working, which will motivate you as well. This isn't university, so the quality of people you will meet are the people who WANT to be there, and are making the most of their effort. Lot's of work but worth it! The course is difficult, you won't have time for anything else really for 8 weeks. Significant information is thrown your way and you will feel frustration and confusion. You just have to put in the time and things will eventually fall into place. I would dedicate at least 11 hours a day during the week and work on material on the weekends too (there are no days off). Their job assistance was amazing. You could tell Kevin and the rest of the staff really want you to find work after finishing the boot-camp. They helped with our resumes, cover letter and set up a mock interview for practice. They also put together a speed interview session with actual employers looking for new talent, nothing came from it but I really appreciated the effort DecodeMTL put into helping all of us out. The curriculum of the bootcamp is well structured and everything falls into place on time for the demo day if you gave your 110% throughout the course! What inspired you to start DecodeMTL? At the time we started Decode, there was nothing like it in Montreal. We were two partners with a very complementary skill set – I was on the business side and Ziad on the technical side. Ziad was teaching me and a few others some basic coding skills in the evenings. More and more people wanted to join in, and eventually it turned into a full-fledged coding bootcamp. Ziad always had a very strong passion for mentoring, and I have a strong passion for creating. Combined, our passions have created something we are extremely proud of. To this day, our driving factor is hearing another happy student tell us about their new jobs. We have a little bit more about DecodeMTL and our history on our website. Why did DecodeMTL decide to introduce a remote online program? It’s quite simple: people were asking for it. Montreal is the largest city in Quebec, but the province itself is huge. About 80% of the population does not live in Montreal. Relocation costs or traveling can be time-consuming and expensive. Bringing the experience directly to our remote students would allow those who otherwise could not take our course to enroll. The remote program is not just limited to Quebec though, it’s available globally. We feel that our bootcamp is extremely competitive on a global level, as the value of the Canadian dollar is relatively cheap compared to the US dollar or Euro. So being able to take advantage of this without relocating is quite beneficial. There are a lot of flexible, part-time online bootcamps – why do you think full-time better for students? One option is not necessarily better than the other. It depends on your learning style, the time you can commit, and your ultimate goal. Our focus is on people looking to enter the job market as a web or software developer. We also cater to an audience that has been doing some self-learning for a few months prior, or already has the basics down, and they know 100% that they want a career switch. When you have that level of commitment, a full-time intensive bootcamp such as ours is their fastest option into a new job. Is this synchronous learning? Are all students required to be online at the same time? Yes, this is a synchronous bootcamp. It’s an intensive, full-time bootcamp. Our students should know that we require them to be online from 10am - 9pm almost every day. Our teachers and the other students are all online, and we are connected via video chat the entire day. Will the learning style mimic an in-person bootcamp? What does the online learning platform look like? The learning style does mimic an in-person bootcamp. As I mentioned previously it is a synchronous program and everyone is required to be online at the same time. Typically, we will do a lecture in the morning, which is live-streamed by the teacher to all the remote students. Much like in our live classroom, remote students may ask questions on the spot, answer questions, and have discussions with the other students and teacher all in real time. Our class size is small, so it’s pretty intimate and after the first week, people really start to get to know each other. Our afternoons and evenings are more project-based. We will keep a Zoom chat open with all the remote students and teaching assistants. Everyone will be muted, and whenever you have an issue or question you can summon a teaching assistant, or ask it out loud to the whole group. It’s literally the closest thing to being in a physical classroom as possible. Our online learning platform is quite simple. 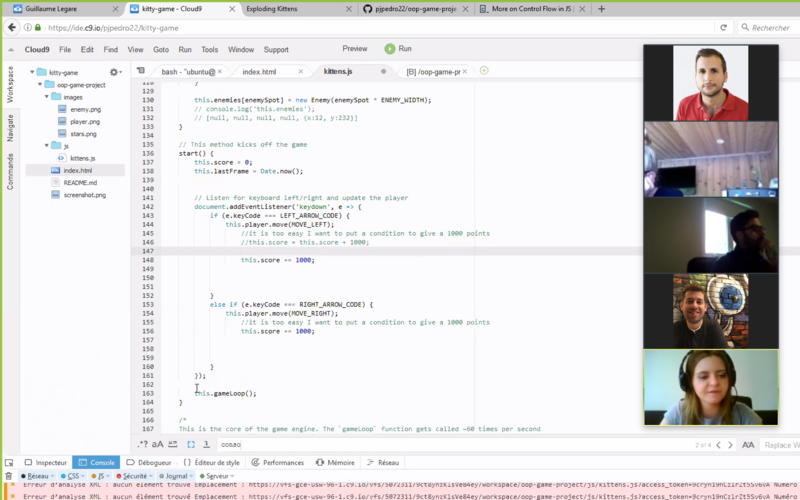 We use a combination of GitHub for assignments and code samples, Slack for most communication, and Zoom for video chat. How often does your team update or iterate on the curriculum and what is the process for that? Every cohort sees an update to the curriculum. To date, there has not been one cohort where the curriculum did not change in one way or another. The last change we made was to condense the HTML/CSS portion of the course (and require more prior knowledge of this before acceptance) and replace it with a 5 day Full-Stack project, done as a team. This is the first of two major full-stack projects that our students will build. How do you train instructors to teach a brand new curriculum or updates to the curriculum? Our instructors, like all good developers, are continuous learners. They are constantly taking courses, reading books, and tinkering with new tech. As a team, they take full ownership of the curriculum, and by doing so, teaching comes very naturally to them. They are teaching things they know, and things they are passionate about. How many instructors teach the Remote students, and what will the instructor: student ratio be? How will students and instructors communicate, and how often? We have 1 lead instructor who teaches the main curriculum from start to finish. We then have 3-4 teaching assistants who help with the project work. We have a 1:10 or less teacher/student ratio. They will communicate via Slack and Zoom on a daily basis. We are connected face-to-face all day, 5 days a week. There is really no room for slacking. We want to ensure our remote students benefit from the same level of intensity as our in-person class, so we stay connected all the time. Tell me about the ideal students for the new remote program. Are you looking for students with programming experience or a certain background? Our program is really designed for career switchers. At a minimum, you should know that you want to be a developer, and ideally, you’ve done or experienced coding. For remote students, we do need people who are a bit more autonomous than the in-person course. You need to be comfortable sitting in your home office 8+ hours a day, grinding away. Typically gamers, online poker players, or people who have previous remote experience know what this is like. As long as you come in with the right mindset, create yourself a quiet workspace at home where you won’t be distracted, you will be fine. What can applicants expect from the admissions process? Do you have assessments or a way to track how students are progressing through the remote program? Currently, we do not have assessments. We can measure a student's progress with the quality of their coursework and are able to accurately pinpoint the students progressing slower or faster than average. Within the first two weeks, if students have fallen too far behind we will give them the option to drop-out and rejoin another cohort. Repeating individual modules is not currently possible. Would you recommend taking a pre-course before the remote bootcamp? What would you suggest? How will career services work for the new remote curriculum? Do you expect students will get the same types of jobs that your former course grads we're getting? Career services are done in a similar fashion to the in-person course. Currently, once the bootcamp is over (week 9) we are giving talks on LinkedIn, resumes, cover letters, as well as conducting mock-interviews all via Zoom. We then start scheduling 1-1 meetings with each student to review all of their work and give them tips/advice on the job search. We also work on any issues they may encounter. We are currently integrating some of these lectures sooner into our curriculum during the bootcamp as well. A full article post about our career services can be found on our official blog. Tell us why DecodeMTL has decided to introduce a 6-month job guarantee. Have you spoken with employers? Are they excited/nervous to hire students who have learned online? Our employers have yet to care about where/how someone learned to code. Their priorities remain on finding awesome people who have great programming skills and are a good culture fit for the company. What is your advice for students embarking on a new online program? Any tips for getting the most out of it, especially if they are trying to change their careers? Sure! I think one of the most important things about the remote program is ensuring you have a comfortable setup at home or another workspace nearby which you will be using. Ensuring your family/friends understand that just because you are home doesn’t mean you are free to do whatever, will also go a long way. You do not need and/or want distractions during the course. Secondly, abuse the resources at your disposal. Our teachers and teaching assistants are here for you. You need to ask them questions and learn from them as much as possible. Be curious, ask about their experiences on the job, ask about how you can go above and beyond as a student, and aim to do more than just the bare minimum. This is what will make you stronger at the end of the day. 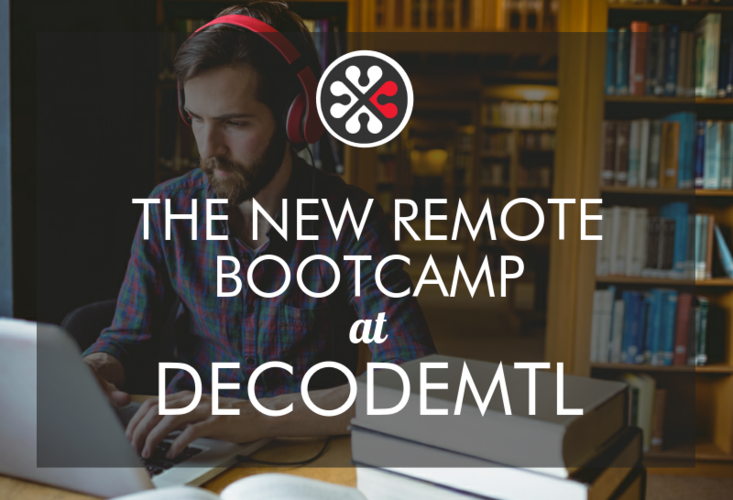 Any other information you would like to share about DecodeMTL’s new remote curriculum? Yes. There are a few other fun features with our remote program. We host alumni panels where past students and current students will join a video chat and they will talk about their experience. They share what made them successful, as well as any tips/tricks. We choose alumni who have gone through the remote program as well. We also do a lot of presentations on Friday afternoons where we will show off any fun projects we built during the week. We usually get the in-person bootcamp involved so that you can demo your project on the big screen to the full-classroom. We find putting a little bit of pressure on by telling people they will be presenting, gets them to put together something a bit more polished. We also do a lot of remote group work where we break out into groups of 2-3 when working on projects. At any point, you can ping a teaching assistant when you are stuck, and they will join your chat. We use cloud9, which allows for easy pair programming. In conclusion, our remote program is a unique experience but provides the same outcomes as an in-person bootcamp. Students interested in enrolling should check out our remote bootcamp page. Our upcoming course starts on October 2nd, and then January 8th. Read more DecodeMTL reviews on Course Report. Check out the DecodeMTL website! 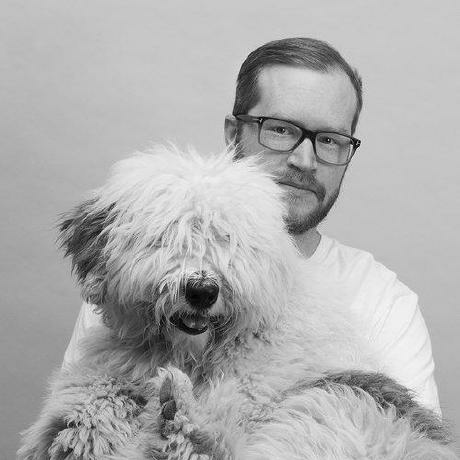 Scott was a school teacher in Montreal for 17 years before he started teaching himself web design and freelancing on the side. 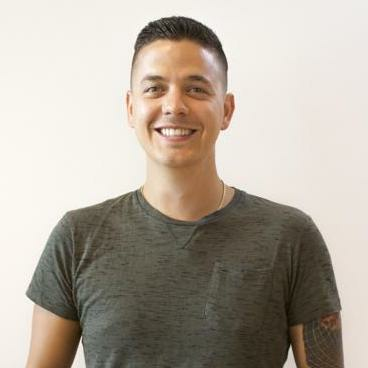 When he decided to make the full career change, Scott enrolled in DecodeMTL coding bootcamp in Montreal. Now he is a front end developer for AppDirect and loving it. Scott tells us about his favorite project at DecodeMTL, the classmates in his cohort, and his surprise at finding a great new job so quickly. I was a high school math and English teacher for 17 years. In the last four years I started freelancing in web design, building basic sites with WordPress. Last year I decided I wanted to do web design full time. I didn’t just want to design, I wanted to code and program and design. So I looked for coding bootcamps, and DecodeMTL was the only one available in Montreal. When did you decide to quit your job and go from freelancer to full-time developer? I think it probably started when I was looking forward to summer break too much, and I found I was enjoying my part-time job more than my full-time job. I knew then that it was time to make a change. What types of resources did you use when you were teaching yourself how to code? I learned on my own out of necessity at first. I taught at a nonprofit learning center, and we didn’t have funding to pay for much, so whenever anything needed to be done on their website I just did it. I learned as I went and found I really liked it, and then kept going and going. I was lucky enough to build a small network of customers. It was very interesting and it took up more and more of my time, which was a good thing. I learned using Lynda.com, Codecademy, and some books, but mostly online. What made you feel you needed more than self-teaching? I could learn design on my own, but when it came to the development side, I felt I had maxed out on self-teaching. I had programmed a little bit in PHP for WordPress, but I wasn’t quite sure where to go from there. I wanted to be in a full-time class with other people who are interested in the same thing, with a teacher who could guide us – that was probably the most important thing. I looked at some online bootcamps but they were mostly on the west coast and a lot more expensive. It made more sense to do an in-person bootcamp here in Montreal. Did you ever consider doing a four-year CS degree? No, only because I knew that college curricula are so many years behind what we actually need to know, so it wasn’t going to help me get a job or move forward. It would have been a nice base for theoretical concepts, but not enough practical knowledge. Was your class diverse in terms of gender, race, life and career backgrounds? It was a pretty good mix, we were 12 people, there was only one girl in our cohort. But in the one before and the one after it was more of a 50-50 ratio. The students were from all different backgrounds. The woman in my cohort was also a teacher, and came from Boston to do the program. It was good mix of ages – I was almost sure I would be the oldest one but I wasn't. About a third of them were career changers, the others were just getting started. Was it important for you to learn a specific programming language or stack? What was the learning experience like at DecodeMTL? Tell us about a typical day. The classes are 10 am to 6 pm. Each day would usually involve a sit-down class from 10 am to 12 pm, then lunch. In the afternoon we did exercises based on what we had learned in the morning, and sometimes break back into one group do little 20 to 30-minute teaching sessions, then continue with the exercise. There was lots of time to do lots of practice. And there was also the option to stay after 6 pm – there were TAs available until 9pm every night. What sort of coding projects did you work on? We had one small project in the first few weeks, then a second bigger version of that project, then at the end we worked on our own personal project. My favorite project was the team project, where we built an app called Savvy Aardvark that would tell you whether or not you could eat something by scanning the barcode, based on certain dietary restrictions you had entered into the app. I am intolerant to MSG, which is how I came up with the idea. It was a lot of fun, and we were planning to keep working on it but I got roped so quickly into the job search that I haven’t even looked at it since the end of the bootcamp. How did you find your first developer job? Within the first week after graduation, I was already out on interviews. I found the opportunity at AppDirect through word of mouth. I was also interviewing with two or three other places, but this one escalated very quickly. It was by far the best position and offer I got. I had to do two interviews, then I had to do a project challenge, then another interview in person, and a final interview. So in total, there were four interviews and a challenge. They gave me 10 days to do the coding challenge, so I took 10 days. It was replicating a Twitter app, and pushed me, which was good. If it had been too easy, it wouldn’t have been as interesting a job. Congrats on your new job at AppDirect! Can you tell me a bit about your role and what the company does? AppDirect is a cloud marketplace and management service that enables companies to sell apps to their customers. It’s still a startup but it now employs almost 400 people working in Montreal and San Francisco. The Montreal office is full of senior developers. It’s great to be with people who know so much more than me. My official title is Front End Developer, but my role will likely evolve in the next few months. I’ve been trying to understand the application, finding and fixing bugs. It’s been a great experience so far, and very interesting because it’s completely different from my past career. In the first few weeks, even up to now, I’ve had time for learning. It took me almost three days to set up my computer properly, then after that I’m slowly working on bugs and simple projects. I’m still in training, so I work alongside other developers for the most part. I work on my own but if I have questions I have people to ask. How did DecodeMTL prepare you for finding your new job? DecodeMTL does help graduates prep for interviews, etc., but I started job hunting right away, so I participated less in that. I believe the founder, Kevin, does follow up with everybody, and has them come in at least once a week. Do you feel like you accomplished the goals you set when starting a coding bootcamp? I had hoped to get a job as a developer, but I wasn’t sure how quickly that would happen. I had given myself a few months to find a new job, but this by far surpassed my expectations. When DecodeMTL finishes, most students go on to become interns for two to three months, and I completely bypassed that stage. I think my freelance experience helped out in that respect. What does a web developer’s day to day look like? During DecodeMTL, I actually found myself wishing that this was my day-to-day job, working on developing products with other like-minded people. And that’s what I’m doing now – I’m hunting bugs, and that’s an adventure in itself, because I don’t fully understand the code base yet, but I’m getting there. The whole culture is very, very different from teaching in a high school. Are you using the stack/programming language you learned at DecodeMTL? So far I’m using a lot of what I learned, but I do have to learn a few more things. Here they use mostly Backbone, so I still need to get Backbone down. They also use Java but right now, that’s beyond my scope. Probably accepting that I can't know everything right away and I have to take the time to learn it. I would really like to be able to just know everything, but web development is not like that, so that’s a big challenge, I have to accept it’s still a learning process, and it’s okay to not know. It’s definitely a never-ending process of learning. I take the train to work, so I have a lot of time to watch videos, or do some reading and keep up to date. What advice do you have for people making a career change after bootcamp? Do it! You have to be sure that being a developer is what you want. But I should probably have done it a long time ago. Is there anything you’d like to add about your experience at DecodeMTL? It was a great experience, we learned a lot, and it was a lot of fun. It was mostly just fun to be with people who were all excited about those little bits of code. I guess if that excites you, then you’re in the right place! Find out more and read DecodeMTL reviews on Course Report. Or check out the DecodeMTL website. DecodeMTL is an 8-week Front-End Web Development program that teaches students to build beautifully crafted and well coded simple websites. 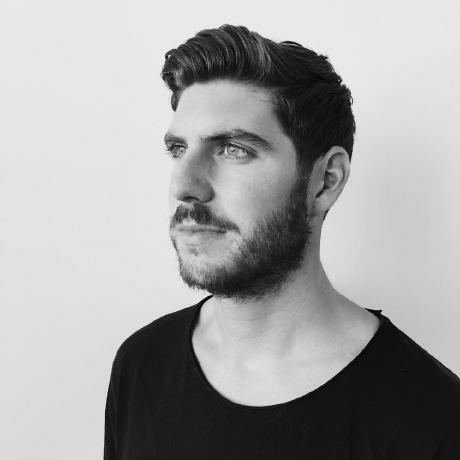 With their first cohort coming up, we sat down with founder Kevin Khoury to get the scoop on who's teaching the course and the outcomes students can expect when graduating. What were you doing before you started DecodeMTL? I am not a technical person. 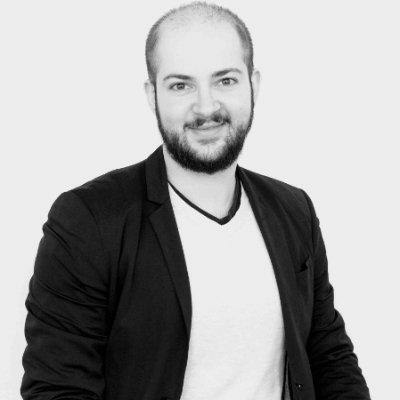 Our co-founder, Ziad Saab is the technical guy. He’s been a full-stack developer for over 15 years. He’s also a great teacher and volunteers his time teaching the local “Ladies Learning Code” chapter here in Montreal. When did DecodeMTL start? Is this your first cohort? DecodeMTL has just begun and we are starting our first cohort in October of 2014. Why did you decide to teach front-end development? Front-End web development was the best place for us to start. We knew we wanted to offer a part-time course that would welcome beginners, so teaching front-end made the most sense. The website is really clear that this class is for beginners- does this mean that someone can have absolutely no experience? Should an applicant complete Codecademy or something before applying? Is there an interview process? What is it like? Yes there is an interview process, but I like to refer to it more as a conversation. 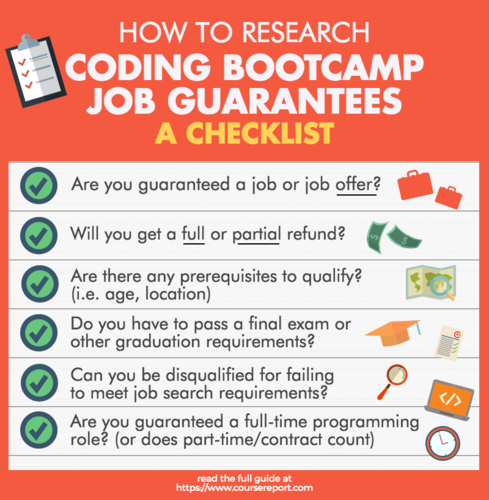 The goal here is to see what kind of background an applicant is coming from, what they are looking to get out of the course, if they have any coding experience, etc. We want to be sure that the applicants we select will excel in our course and come out with a positive experience. For that reason it is necessary to have a conversation with them before accepting them into the course. Why Montreal? Tell us about the tech scene in Montreal? Is there a technical shortage? What kinds of companies are hiring? Montreal is our hometown, and we want to give back to the growing tech community here. There absolutely is a shortage of qualified programmers. Many companies look externally to our city for good candidates, but because we are a bilingual spoken city, it is often hard to recruit externally. While our city is home to some fairly established tech companies who are always hiring, our startup scene is booming. The best place to browse startups and startup jobs in our city is here: http://builtinmtl.com/jobs. Student spend ~4 hours/week in class- what are their obligations outside of class? Our ideal students will be motivated tinkerers. They will naturally want to try out the new stuff that they learned outside of the class. We feel like the best way to learn new material is to practice it as much as possible. We will be giving basic exercises after each session, but they'll be suggestions and by no means obligations. Ideally, the student will spend at least 1-2 hours practicing on the days where there is no lecture. What does class time look like? Are students doing projects or learning via lecture? Even though the first two or three sessions will have more talking and less doing, most of the sessions will be half lecture and half workshop. We want the participants to try things on their own and break things on their own. The last week of class will be slightly different then the rest. Students will come in Monday to Friday evening and build out there own product. This week will be completely hands on with tons of collaboration between the students and instructors. What are the expected outcomes from the front-end dev class? Would someone be able to get a job? Get a promotion at their current job? The expected outcome of the front-end course is to put people in a position to becoming a junior front-end web developer. With hard work you should be able to land yourself an entry-level front-end development job. However, you will also be in a position to build your own simple websites (sites that do not require a backend), landing pages, portfolio site, or even create a prototype of a new product with an aim at attracting investors. Is there an emphasis on job placement? How do you incorporate that into the curriculum? As this is our first cohort, we are are still in the process of developing relationships with local startups and tech companies to introduce our talent pool to them. We already have the support of the local tech community in launching our course, and have several companies who have expressed interest in meeting with the talent that comes out of our course. However, at this moment we are not advertising any demo days, or meet and greets. But it is not to say it won’t happen. What’s next for DecodeMTL? Other locations? A full-time program or different languages? We really want to focus on this first course and make sure it’s the absolute best it can be. We want the students coming out of the course to have had a truly positive and insightful learning experience. While this course is running, we will ask the local community what they want to learn. With there feedback, we will see what the next move will be. Want to learn more about DecodeMTL? Check out their School Page on Course Report or their website here! Any other information you'd like to share with Kevin from Concordia Bootcamps? By submitting, I acknowledge that my information will be shared with Concordia Bootcamps. An email with these details has been sent to Concordia Bootcamps. You've already applied to this scholarship with Concordia Bootcamps.